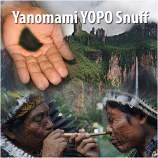 We are truly blessed to be able to provide you the very best and highest quality Snuff (rapés) and Kambo sticks from South America – primarily from Brazil and Peru. Some of which are fair traded in loving relationships with various indigenous tribes – Yanomami, Yawanawa, Nukini, Kaxinawa-Huni Kuin, Kuntanawa, Apurina, Katukina and Matses, who we deeply honor, respect and support. 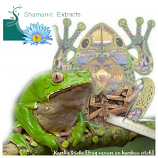 Also, we at Shamanic Extracts import our own unique and very powerful blends of rapés, as divinely guided by these sacred medicines and beautiful plant spirits. The vast selection of different types of Snuff (rapés)that we are providing is truly amazing! 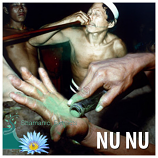 Many of these Snuff (rapés) are very rare, precious and extremely difficult to source from remote parts of the Amazon jungle. Furthermore, they are made in a very sacred and extremely labor intensive process with prayers – some can take several weeks or many months to produce. We are extremely passionate about these sacred snuffs. It is with our sincerest desire that you really enjoy, cleanse, heal and learn with these sacred and profound products that we are providing.